The Scottish ViC is just 9 days away! The Scottish ViC is the only virtual conference dedicated to Scottish genealogy research. Global Genealogy is offering a 20% discount on anything you purchase through their store between January 26th and January 31st. Anything your purchase from their website between January 26th & January 31st. 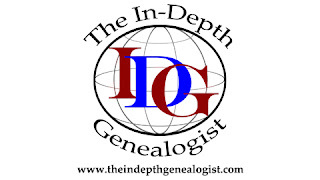 The In-Depth Genealogist is offering a $10 discount on an annual subscription to their digital magazine for everyone who is registered for the ViC. The annual subscription is normally $35. The annual subscription gives you 12 digital magazines as well as access to all 48 of their past issues. Membership also gives you a discount on books and quick guides. LivingDNA is offering a $50 deduction on their 3-in-1 DNA kits. 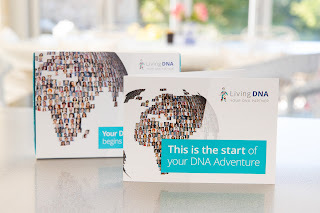 Testing includes yDNA, mtDNA and autosomal DNA. Learn your ethnicity, maternal and paternal lines with just one test. Ancestry ProGenealogists and GoAhead Tours is offering a $200 discount to anyone who takes part in their 10 day tour of Scotland. While they will be visiting some of the research sites, research is not the primary focus of the trip. It is an ideal trip for anyone who doesn’t know exactly where in Scotland their ancestor comes from but who wants to connect with the country and learn about some of the history by visiting historic sites. Save 25% on Forever storage or Artisan scrapbooking software. 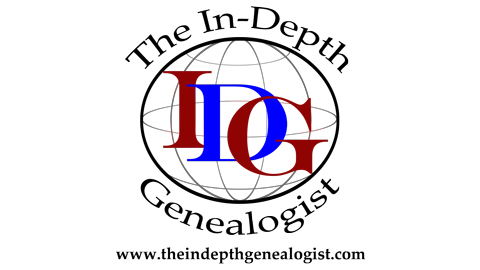 Sign up for the free webinar on using Forever storage to preserve your genealogy research for your life time plus 100 years. Learn about nesting albums to store your documents and photos according to family. The Forever guarantee is to store and preserve your precious photos, documents and videos for your life time plus 100 years. Guaranteed. Assign an account manager. Decide what happens to your photos and videos after you are no longer here. Learn how later generations can access your research.